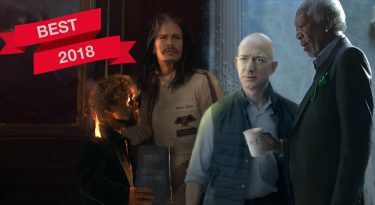 What If The Candidates Starred In This Year’s Super Bowl Commercials? What If The Candidates Starred In This Year’s Super Bowl Commercials? 0 out of 5 based on 0 ratings. 0 user reviews. Super Bowl 50 – dubbed the Golden Super Bowl – is coming. Millions of fans will be looking forward to a lazy Sunday afternoon glued to the couch, Doritos, Budweiser twelve packs and popcorn within arm’s reach, watching the teams slug it out for the championship title. 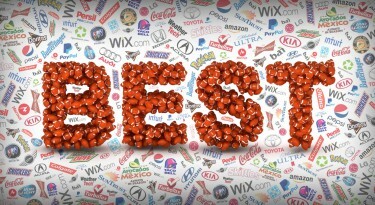 And like every year, the biggest global brands will have splurged millions of advertising dollars on some of the most coveted advertising slots on TV. Advertisers have 30 seconds to pack a memorable punch before an audience of over 100 million. They’ll use movie stars, stunning locations, dazzling special effects and, hopefully, a good measure of humor to seduce us. The ad makes a lot of sense given that this November, America will elect a new president. It’s an Election Year: We Want More Political Ads! 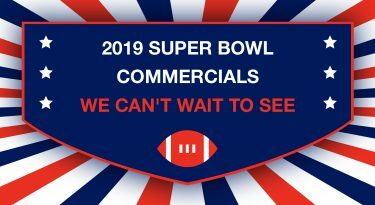 As our own tribute to the upcoming vote, we are all about seeing some Super Bowl commercials starring politicians!It should be a match made in heaven. Politicians thrive on air time to get their message across and to spread election promises to be forgotten as soon as they get into office. If you ever wondered what a Super Bowl commercial starring a politician might look, take a look back at the 2012 halftime Chrysler commercial, “It’s Halftime in America” which starred Clint Eastwood. It was impassioned, inspirational and patriotic. You could have almost forgotten that this was a commercial for cars. The same year, Clint Eastwood endorsed the Republican presidential candidate Mitt Romney. Remember his awkwardly improvised Obama-bashing empty chair routine? As the 2016 US presidential race gathers steam, let’s look at some of the main contenders and try to imagine what they would look like in a Super Bowl commercial. If you were looking for an obvious choice for a politician to star in a Super Bowl commercial, look no further than business magnate and Republican candidate, Donald Trump. He’s got bravado and an extremely high opinion of himself. He also has decades of TV airtime experience behind him. He’s used to being outrageous, and his signature quiff hairdo has a life of it’s own. He also gestures with his hands more than a Sicilian crime boss. All the hallmarks of being a great leading man in a major advertisement. Donald Trump personifies the life of the filthy rich. He’d be great at advertising muscle cars, real estate and luxury yachts. Think of an alternative version for this 2015 Dodge Super Bowl Commercial. Put the pedal to the metal! Marco Rubio is the youngest presidential candidate. The junior Senator from Florida is a lawyer by training and the son of Cuban immigrants. Rubio prides himself on having gotten to where he is through hard work. He’s smart, articulate, charming, and he also played football in high school and college – always good experience for a star in a Big Game commercial. Rubio is also known for his skepticism on global warming. During the recent CNN GOP debate he commented that America is not a planet. So, regardless of what planet Marco Rubio thinks he lives on, he’d be a great presenter for energy companies, big cars and anything that burns a lot of fossil fuels. But coming from humble beginnings, Marco Rubio could also be a great rep for Wix.com, showing people that #It’sThatEasy to start from the ground up and build your own successful career or business. Chris Christie is undoubtedly one of the larger-than-life Republican candidates for the presidency. As the Governor of New Jersey and a native of the Garden State, he is brash, dismissive and a straight-to-the-point talker. He’s a got a hot temper and he’s known for being very overweight and for indulging in booze and snacks. What could be more Super Bowl appropriate than that? He’s practically the lost twin of late actor John Candy, only a little darker and meaner. Governor Christie would be perfect for beer commercials and candy bars like Butterfinger and Snickers. This year Budweiser announced that they are pulling puppies from their commercial, because puppies don’t sell beer. Governor Christie should step in instead of the cute puppy for a grittier, down-to-earth beer commercial. Ben Carson has to be the oddball in our list. A retired pediatric neurosurgeon from Detroit, Dr. Carson is a soft spoken man with some eccentric views. Deeply religious, he’s admitted to being a novice on foreign affairs; in a recent Republican debate he called for the containment of Russia’s Vladimir Putin. We think he should make his first foray into foreign policy by replacing Liam Neeson in the next Super Bowl commercial for Clash of Clans: Revenge. Hillary Clinton is former Secretary of State and a presidential candidate for the Democratic Party. Best of all, she’s game for a laugh. Her recent appearance on Saturday Night Live shows that, like many politicians, she’s not afraid to poke fun at herself if it will help her public image. Hillary Clinton is also known for being the wife of Bill Clinton, the 42nd President. Bill Clinton famously cheated on her in the oval office with his intern Monica Lewinski. So if an Ashley Madison commercial is ever actually actually aired during the Super Bowl, Hillary Clinton would be an ideal presenter. Or perhaps she could star instead of Danny Trejo in this year’s Snickers commercial? Bernie Sanders is a different kind of politician. The Brooklyn native and Democratic presidential candidate is kind of schlumpy and old school but his fans love his integrity, his commitment to representing the overlooked masses and his unwavering support of liberal values. Even as he struggles to defend his foreign policy, President Obama manages to keep his cool and look effortlessly charming. He’d be a perfect replacement for George Clooney in espresso machine and luxury brand commercials. He could also easily replace Isaiah Mustafa in the Old Spice commercial The Man Your Man Could Smell Like. The proof? 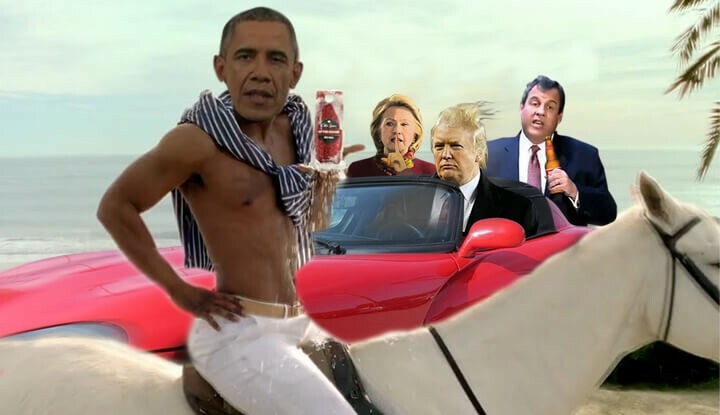 See Mustafa giving president Obama advice on how to win the lady’s vote Old Spice style. In short, Barack Obama’s post-White House career looks secure. There you have it. Our lineup of politicians that could star in Super Bowl commercials. Who are you rooting for?